Rumour: Nintendo's Next Generation Handheld Is Codenamed "MH"
Monster Hunter? Miyamoto Hotness? Mobile Home? Much Hype? Ever since the NX was announced it was suspected that the system would be a hybrid that offers both home and portable gameplay. However, according to DHZ Financial Research's Trader's Web site, Nintendo is also working on a next generation handheld codenamed "MH" alongside NX. While the piece was more focused on Nintendo's share price and its plans to expand its business via mobile games and theme parks, the mention of a new piece of hardware is interesting. Could "MH" - which is noted in the report as being a tentative name - merely be the NX's controller? Or is this a totally new system which somehow links with the NX in the same way it's possible to use a 3DS to control Super Smash Bros. on Wii U? Nintendo <7974.T> continue to see their stock prices fall. At the Mitsubishi UFJ Morgan Stanley Securities, the new traction for mid-term profit growth is being changed to next-generation game console. As a target for long-term investment, the investment judgment "Overweight" is continued. The stock price benchmark is being reduced from 34000 yen to 32200 yen. By doing things like changing money order premises, forecasts from FY March 2017 to FY March 2020 are being revised downwards. The driving force for economic growth has been switched from previous new businesses like "Health service, Theme park & Mobile games" to the next generation game console NX and next generation portable game console MH (Tentative title). There is no change in mid-term growth scenario. Things being predicted from now on are new factors to profit impact when NX and MH are to be fully announced, and monetization of mobile games. If the skepticism on these can be wiped away, there is a high chance that their stocks will be greatly revalued, and as a premise for long-term investment, now is perhaps the [best] entry timing [to invest here]. As ever, feel free to let fly with your own take on this news by posting a comment below. So...the 3DS is on its last legs? "All around me are familiar faces..."
Well it's been fun. Better download as many eshop titles as I can before the new one comes out. Hope they bring back the ambassador program; I'm still salty I missed out. Hoping it's a standalone handheld unrelated to the NX. Rumours! Smumours! We know nothing! Would they really be willing to split handheld and console devices again? They should know where technology is heading and accommodate to it. I was just watching Google I/O last week and saw that everyone needs to be connected now. Maybe even support for VR in the future. so if they are making a new handheld wouldn't that mean that all those rumours about the NX being a handheld/console hybrid being false? I really want this to be true! I don't want to play games on my mobile phone, I want a proper handheld games console. I've had the Game Boy, the Game Boy Advance, the DS and the 3DS. I will get the next one too, if it ever sees the light of day. The fact Nintendo's still apparently working on separate home consoles and handhelds is kinda worrying to me. It's like it doesn't see the market crumbling and falling away around it. And, it's not that I don't think Nintendo's standalone handhelds are great, but maybe it's just time for consolidation of its platforms, libraries, services, resources, potential customers, and whatever else. I just don't see Nintendo seriously competing going forward unless it starts thinking outside the box a little (but also without going off on totally silly tangents like making sleep sensors). Military Hardsuit, Nintendo's been taken over by GENOM Corporation. Well, that kinda confirms that NX won't be a hybrid TV/Portable console. That's a shame, I was really hoping that Nintendo was going change things with the NX. Chances are that the NX might just be another console. Looks like I have still something to look forward to in the videogames consoles department. I remember the Dolphin was announced before the Game Boy Advanced, but after this case wasn't the handheld console always announced and released before the home one? This... is Nintendo MoneyHolder; a modern piggy bank from Nintendo. It's designed to count all the money that a gamer is spending in Nintendo's products. i'm not interested in the slightest. once the Wii U and 3DS are no longer supported I'm done with getting new handhelds and new home consoles, well for me at least. Not too sure about my kids. Plus I plan on buying a PS4 this year so I will be covered in the video game department for a long time. The hybrid rumours were kind of debunked a long time ago. Iwata said the home console and handheld will be like brothers. We need more to go on. All this is doing right now is building up more, and more hype, and when the NX finally gets revealed, it won't match the hype, and fail. please Nintendo i need this game. @DekersHekers it's more than 5 years old now. By the time any replacement is out, it'll be 6 at least. The DS came out just three years after the GBA (which was less than three years after the GBC), and the 3DS came out 6 1/2 years after the DS, so it's not unexpected. I, for one, am ready for a handheld that only plays Monster Hunter. I'm burnt out on all these rumours. Am I the only one who doesn't care anymore? I'm saving my excitement for an actual announcement. As a long-term investment, and continued investment decisions "Overweight". Target price was cut yen 34000 yen → 32200. Due to a change in the number of exchange premise, now 17.3 period - 20.3 period expected the downward revision. Change the contents of the medium-term profit growth story. Towing auditors, conventional "health services, theme parks, mobile game" from the new business, such as, but was switched next-generation game machine "NX" and next-generation portable game machine to "MH (tentative name)", medium-term growth of scenario was that there is no change. The expected future, new and weaving of the revenue impact of the whole picture announcement of NX and MH, if dispel the realization of skepticism for the monetization of mobile games, there is a high possibility that stock prices are largely re-evaluation, assuming long-term investment, now has to think and entry timing. Which also suggests the NX is aiming for a £200 launch price. So probably £300 over here. Are they speculating on what they think is likely (there's always been a handheld and a console, so they assume it stays that way) or do they have a source? MH doesn't have a nice ring to it like NX does. I guess we'll find out more later this year! @deKay Except that in this case they have recently released a NEW 3DS with drastic hardware changes. One that can play games the others can't and has features and controls that the others lack. They haven't even started releasing dedicated games for the system en masse. It would be a damage control nightmare after having just hyped a NEW system (it's even in the name). Nintendo can't support 2 different pieces of hardware unless they've mastered scaling... If the NX isn't both in one I'm sure the "MH" plays NX games but at a lower resolution + less post-processing effects. @Tsusasi they also release a DS with drastic hardware changes - the DSi. For which they didn't release games for en masse either. I'm sure its just me, but MH to me has and always will mean "Monster Hunt" to me. I'm talking about Monster Hunt, the mod for the original Unreal Tournament. That was fun. I should check in on that community to see if they are still playing "ugly boxes filled with a ton of monsters" maps, or if their taste has improved. Back on topic, I want this system to be Metroid Heaven. @Tsusasi It's plausible "MH" is another iteration of the 3DS. It seems a handheld codenamed MH doesn't exist, not even as a rumour. One moment the NX is a hybrid, the next there's another handheld coming. Make up your mind, rumour mill. @Andrzej777 Wait for the potential Neo, you may as well grab that! @Rei Yes, it's been the case apart from the GB/C. That said, support for the GBA continued on longer than that for the GCN did, as was the case with the DS and Wii, and is the case with the Wii U and 3DS. Oh, and thanks for the info on Macross. I found myself listening to an arrangement of "Do You Remember Love?" lately because it happened to be part of a collection by Melodic Taste, so the Macross movie got bumped from my backlog to the fore. @Rin-go How did you come to make the hybrid comment from reading an article stating that a codename for a new Nintendo handheld has been released? If anything, the two being separate already states it not being a hybrid. Here's to hoping the new handheld was actually codename NX all this time, and that "MH" doesn't release until Q4 2017. Supposedly the rumour has already been debunked. 2) Such "rich" forward-looking analysis and also the wording is standard in investor notes. I know because I read tons of them . Could the MH be an NX controller (like a Wii U gamepad), which can be used independently like a handheld without having to be in range of the NX? The hybrid rumours still would make sense this way. well....so much for the NX hybrid. "MH" is for "Mad Hype" of Rumours?!! Well, only to wait official information from Nintendo. This one better support more storage than the 3DS did. I always have to delete something to download something else. I don't think I'll get rid of my 3DS soon, though, unless this new system is also 3D and allows for a 3DS system transfer. If it keeps the 3D I will buy it, if not I will still buy it I just won't buy a tent and camp out at a store. I loves my 3D it just makes games look so much more interesting with them extra depths and dimensions. That's all it is. Really. Don't even take two grains of salt with this rumour. Wait for Nintendo to say something; the NX could well still be a combo-device, or they could be working on a Nintendo Mobile Phone or maybe the New Nintendo 3DS still has years of life on it (certainly has the power to really be a winning console for some time, as its exclusives are added to). I hope this is a lie. What was the point of releasing the New 3ds then so you could play one game and a hand full of snes games. This is not true anyway. The NX is both a handheld and home console and MH is a backup console/plan just in case the NX fails. Of course a handheld seperate from the home-console. That way Nintendo can earn money two times!! We knew a handheld component was coming, so this news means nothing to me, short of knowing its possible codename. @SLIGEACH_EIRE So, I guess you could say this entire thread is a mass Mushroom Hallucination. Well done on both ends. One of the most tenuous rumours I've ever seen and yet there are people commenting above who have already drawn their conclusions and mapped out the next 5 years of the games industry from it. Critical thinking, y'all, critical thinking. @Beardedgooslaps What was the point of the DSI? To give the DS line a quick boost coming down the homestretch. The 3DS itself launched 18 months after the DSI. Just because it has a different codename doesn't mean it won't have any connections to the NX. Considering the NX is launching first, I believe this means that they siphoned off some of the team to work on MH, and once the NX hardware is finalized the team will move over. All this doom-and-gloom feels a tad unwarranted when we know virtually nothing about it. hm i was hoping for a fusion between console and handheld. that would have been a new interesting way for gaming. but okay a new handheld is fine too. i am acutally 1000% more interested in a new handheld than in a new console. Obviously, because there have been so many Monster Hunter games on 3DS, Nintendo has decided to just make an entire new handheld dedicaded solely to Monster Hunter, hence "MH." EDIT: @NES_64 Darn, beat me to it! It is a financial report so who knows what this is or if MH really exists as a stand alone product or if it is part of NX. We don't even know what NX is yet so for now I'll sit back and wait for some concrete evidence. MH = Mystery Handheld, there you go. I'm more interested in a home console though right now. By the way who in their right mind would use a 3DS as a controller for Smash Bros. on Wii U? Unless of course you didn't have enough controllers. 2) Such "rich" forward-looking analysis and also the wording is standard in investor notes. I know because I read tons of them ." On this very site, some months ago. It was either Square Enix or Bandai Namco who tweeted, " NX is a HOME console, first and foremost'. @deKay I know. I've just really gotten attached to my 3DS. @DekersHekers so have I, but my 3DS isn't going anywhere! - I will probably do that. In fact I am just toying with the idea of getting the PS4. I would like to play the witcher with its add-ons. Thats basically the only ps4 game that I am interested in. Its a shame to buy a console just for one game. Maybe I will wait until the ps4 gets cheaper (probably when the ps4 k releases). I will definitely wait and see what nintendo comes up with. It might not mean nothing, but I can't help noticing the absence of "(tentative title)" for the NX. @deKay I know. I just hope the new console doesn't have a useless gimmick shoved in. The 3D was non-intrusive as it can easily be turned off. If they try to push too much in there, it's going to fail. It could be anything or nothing. I won't get my hopes up until an official announcement. Micro Handheld? Maybe it's the NX mobile controller. I hypothesise that the NX (home console) will support all NX and MH games, while the dedicated, and less powerful MH, will only be able to play MH games (and pray 3DS games). NX owners will be able to enjoy the best of both worlds, while MH owners will be able to take their games on the go, and seamlessly play their MH games on the big screen via the NX. @DekersHekers Its last leg still have FE:Fates (just released in EU) Pokemon S/M , Monster Hunter Generation, and Ace Attorney 6. You know your fanbase is ready for hype when you can generate a comment thread this long to discuss two letters. Witcher 3 is vastly disappointing. It isn't a true open world. Geralt controls/moves almost as bad as early Resident Evil games. First words that came into my head were 'master handheld', would make sense if it was used to control the NX or that it could take the NX experience and make it handheld. Very curious. @Kokusho Two of those games I don't care about, and one I'm already playing. Hope Ace Attorney 6 is good, and I know FE is good. Well, a I have only seen it on youtube, never played it myself. It seems to me like a good game. Why do you think its not a true open world game? No hybrid console? Wait, what? Why? Why putting potential sales with "A Nintendo handheld that can also output on the TV" in jeopardy? Why? NX could still be a hybrid. MH might be a handheld only option. Less expensive, and no t.v. hookup. Thank you, that's all I needed to hear in order to extinguish the flames of my paranoia. If I may be completely frank, I don't believe anything in here holds any weight; specifically the mention of an "MH". I'm going to pretend I didn't even read this. Doesn't seem like it's worth anything but the time it took to say or write. If this is true, seriously it doesn't mean that the hybrid possibility is gone, MH may just be the codename for the handheld part of the NX. They could simply be developed under separate names, but are under the same framework. @SLIGEACH_EIRE I hope your Mobile Handheld guess is correct! I'd love to have a Nintendo Phone WITH PHYSICAL BUTTONS. I remember when Sony tried I was going to buy 1, but then I learned that it only had like 5 games and there weren't plans to make more. I'm playing Uncharted and Doom atm. They are AWESOME! Hope you get one. The fact the 2 consoles have different names, if that's even true, doesn't mean anything about the consoles themselves or the way they work, at all. Use your brain, people, instead of acting scandalized immediately. It doesn't hurt, I promise. Ignoring the name for a second, I quite agree with the financial assessment, here. Now is possibly the best time to invest on Nintendo stocks, maybe even a little after E3. If it means Mobile Handheld,I won't buy it unless the phone function is optional.I'd hate being interrupted abruptly by a call. All hail the great Master Hand! Even if MH turns out to be true, I seriously doubt that it is actually a separate product line. More likely it would have the same relationship to the NX as the IPhone has to the IPad. They will still run most of the same software. I have no doubt that some games would be targeted more at NX and some targeted more an MH, but they would still be fully compatible. Nintendo would not have talked so much about admiring how Apple does things, spent so much money to fully integrate their development teams, and then gone back to the same broken model of having two separate platforms with separate OS systems and separate game libraries. They simply CANNOT afford to do that anymore. Imagine if it's like a super sleek DS-style device that's a mobile with a capacitive touch screen when closed, but when you open it it has all the buttons you'd expect on a 3DS. It'd be the only way I'd be interested in smart phones... Though, I'd still rather it was an evolution of the 3DS. Similar to, as the article says, when the 3DS was used as a controller for Wii U. I think that worked pretty well - but imagine if your 3DS could control every game on your Wii U and you didn't have to sync it every time. Would be cool. A) NX is only a handheld console only.. where did this mob go? lol. B) NX is a home console only.. I believe this to be the case. C) NX is a hybrid of A and B.. Possiblities. D) MH is a handheld console... What?? Wait.. I believe this rumor has already been dispelled. Anyway I do hope they make a new handheld as after the Wii U debacle I won't be buying another Nintendo home console. Unless IS makes another console FE WITH TAEKO KANEDA AS DIRECTOR that is. Kouhei Maeda should have no involvement whatsoever aside from being the lead scenario writer like he used to do. I do not like Maeda's games, but he was a pretty good scenario writer back in the day. @AVahne Isn't Kaneda already making another game, but with some SRPG Maker engine? EDIT: Oops, knee-jerk reaction. I found out that she's the one responsible for the radiant Tellius saga. If they bring back their artist, as well as Yuka Tsujiyoko as the composer, then it's a done deal! Could MH be NX written by a short sighted person. My expectations on Nintendo is still low. But I'm still willing to hear what Nintendo themselves say about their own projects. That's where I'm leaving it..
Whatever it will be do NOT buy it at launch wait for a price drop or special edition you like or games to come out that you would like to play. I can see it running Android so they can integrate it with releases for Smartphones. MH is not a successor to the 3DS. It's probably a simple name. My guess is something like "Mobile Handheld" or something like that. Didn't read all of the comments to see if people mentioned this yet, but it looks like it was speculation from industry analysts not actual news. Might want to put an update. I actually only want a handheld. Portable technology has become so good now, I'd rather play everything on that. @EVERONE ON HERE: As 'what's his chops EIRE' just said, it's not true, it's just people talking 'what ifs'. Back to a slow news day for NL. I think the N3DS still has at least 2 more years, but the name is just awful. I read Monster Hunter every time i saw MH. I'm also tired of all this speculation. Come on, Nintendo! You don't need to give us specs, but you gotta give us something! Much like the 3DS was "not meant to replace" the DS, suuuuuuuure. @azelf Amen to that bro . I liked Uncharte 1 and 2, didnt finish 3 - thought it was boring. Was never a doom fan. Bloodborne and Dark Souls 3 might be interesting, though. "That Morgan Stanley Japan note on Nintendo does NOT mean a portable console or the name "MH" is confirmed. They are picturing a scenario." Such "rich" forward-looking analysis and also the wording is standard in investor notes. I know because I read tons of them . "So many US game blogs picked up that Morgan Stanley note on Nintendo as news. Number of halfway decent Japanese sites that did the same: 0." @Andrzej777 yeah, uncharted is "ok". I thought the Tomb Raider reboot took the Uncharted formula and fixed all the issues I had with the series and made it so much better. UC4 does look good though. @wazlon Perhaps people who are used to the 3DS controls? @khululy A huge chunk of the early revealed third party 3DS line up got cancelled by third parties purely because people didn't buy it quickly enough. The better the MH(and NX) does early on the better the systems future prospects will be since developers will have more confidence in it. If everyone waits it out you'll force another third party exodus and be stuck with only Indies, Virtual Console and Nintendo published titles. If you're interested in the MH and atleast a couple of the launch titles interest you. I'd say buy it as soon as it gets a game you want and you'll help make it more desirable for developers other than Nintendo. Woohoo, something new for us to speculate wildly about! I love it. Areas are open world, but you can't access some until you progress further and further into the game. You also can't walk/ride to them. You need to find a sign post then choose a different area to travel to. The "MH" codename was created by Morgan Stanley solely to write a brief report analyzing Nintendo's future in the dedicated gaming and mobile gaming space. They are assuming that the NX is a home console and will have a handheld counterpart alongside it much like every previous Nintendo home console. The codename "MH" was created out of convenience, not because Nintendo told Morgan Stanley something meaningful. As of right now, the codename "MH" has no meaning as it is not an official codename. Regardless, I think it was pretty obvious that Nintendo was making a handheld successor to the 3DS regardless of what it is codenamed. Also, I am still shocked at the number of people who still believe the NX will be a singular handheld/home console "hybrid". That rumor has been debunked MANY times by Nintendo's own management back in 2014. Iwata has made clear that Nintendo's goal was to ensure than future hardware devices succeeding the Wii U and 3DS would share the same architecture to "form a common basis for software development" in order to reduce 1st party software droughts on future hardware devices without having to create a singular hybrid device. In fact, Nintendo even suggested that there could be more than just a Nintendo handheld and a Nintendo console in their future; we could theoretically see additional hardware form factors as well that aren't straight-up handhelds or home consoles. @TheWPCTraveler I hope you will enjoy it enough to watch the TV show later (who includes more from the same singer). The movie is supposed to be a "propaganda" movie retelling in a largely romanced version the TV events for the (in-universe) future generations. Agreed, however, nintendo should continue what they have been doing but still provide a platform that IS ABLE to cater to the needs of graphics enthusiasts and third party developers. I think thats a minor complaint. As far as I know there is still tons to do in the game, the world seems to consist of beautiful scenery and graphics and the sidequests are more than the usual fetch quests. Of course, I am still undecided wether I will buy the ps4 in the long run. It will largely depend on what nintendo has to offer - so far I am good, and even right now I have such a huge backlog of games that I doubt I will ever play in my life - I am getting older . Instead of beating the games that I own I just tend to play MK8 online - never even tried splatoon , even though I bought it around day one. This is all speculation but it surprises me a bit to see others skeptical of another handheld. Personally, I'm still skeptical of the hybrid console/handheld thing. The hybrid idea to me at most has been using a portable console as an integrated part of a home console system, but not that the portable doesn't have its own ability to play independently or that the console is just for hooking up the portable's brain to a TV screen. Whatever shape it all comes in, the plan back when Iwata announced it seemed to be a unification of development teams so that making portable games wouldn't distract from console and there could be many more shared releases. The dream of Wii U launching with Luigi's Mansion and Kid Icarus, for instance. OH GIVE ME A BREAK PEOPLE. We don't even know what the home console is yet and now we're hearing rumors of a HANDHELD console?! Christ this needs to stop. If the MH is a new handheld, then I'll wait to upgrade to an N3DS until the MH has released. Hoping/assuming the N3DS price will drop a little. Probably skipping next gen either way. This is crazy now, the rumours that have been flying around for so long have just completely over-hyped the NX, it'll be out in less than a year and still we know almost nothing. Keeping everything so secret for so long may come back to do more harm to nintendo than good. I think I'm going to go into Nintendo hibernation mode until they feel like talking about their future. I'll play on the Vita, PS4, and X1 instead. Exactly. It's ridiculous that this article hasn't been updated by now and continues to be labeled as a rumour. I agree. Iwata has said that they will be like brothers after all. Here's a quote. "What we mean by integrating platforms is not integrating handheld devices and home consoles to make only one machine. What we are aiming at is to integrate the architecture to form a common basis for software development so that we can make software assets more transferrable." Looking forward to seeing what this system can do. I love me some portable consoles xD. I wonder if this will have some sort of connectivity with the NX though. Fact is, nintendo has been cheaping out their customers for a long time, by providing old fashioned hardware. What if the wii u had been more powerful? They could have still made the games they wanted to make. And other developers would be enabled to port their games to the wii u. Being innovative does not mean you need to use outdated hardware. Graphics and power arent everything but they CAN make things possible. Let me give you an example. When I bought the ps3 I became interested in Blurays just because I suddenly had the possibility to play them. My mother likes BBC documentaries and we bought a lot of them over the years. I still have my ps3 (but dont own any games), just use it for watching blu-rays. However, it has been working louder and louder these days and I fear its days might be over soon. Sure, it will break one day - and what then? Am I gonna buy another PS3 just for playing blu-rays? Certainly not! Am I gonna buy a blu-ray player? Wouldnt really wanna do that! The Wii U doesnt play blurays. If it did I would have another option. And this is another reason why I am somewhat inclined to buy the ps4 one day. I think its cool if a console was just made to play games - its really awesome if that is its main focus. On the other hand I dont like the idea of having to switch between multiple devices if it could technically run on one and the same device. IMHO innovation is cool, but it should definitely bring already established stuff with it and not cheap out on it. Its like buying a car which has some innovative technique but comes without airbags. I agree they should consolidate. But as a gamer, I'm happy as long as they're making games, regardless of whether it's an all in one or not. But yeah, the long awaited sequel to Radiant Dawn with Kaneda as director, Senri Kita as artist, and Yuka Tsujioka for music would be GOLDEN. Its speculation, the mh is shorthand for merely hypothetical. This is a Nintendo enthusiast site.... The very thought of a situation like this should be beyond reproach. Get your act together guys. Being rag bags is not a luxury you should enjoy indulging in. My 2 cents say the fact that it is code named similarly to NX makes it very possible that the two are indeed related. NX and MH will probably be separate devices that can operate on their own, but can be synced together in a more meaningful way than, say, PS4 and Vita. I just hope we don't have to wait TOO long for concrete news on these new devices. Nintendo power would have scrounged up some real leaks by now if they were still around. Game & Watch, Gameboy series are SINGLE screen. 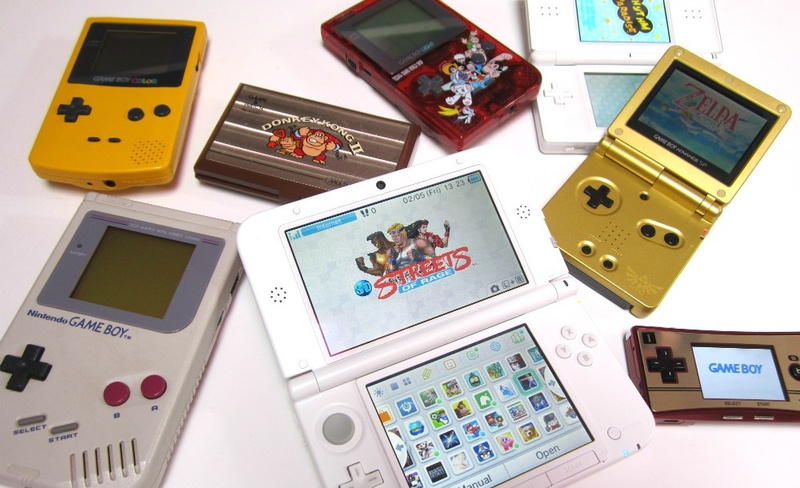 NDS, NDSi, 3DS, 2DS, New 3DS are DUAL screen. MH is more than Dual Screen or back to Single screen again or can be transformed either Single or Dual screen ? @Patriplexity Wait, I'm not good at technological mumbo jumbo. Are you saying my 3DS can have more than 32GB of memory to store games? That, however, definitely wouldn't match the power of any next-gen home consoles, and it almost certainly wouldn't even match the power of the current-gen Xbox One of PS4 systems. It would be a kinda cool combo system though, imo. All of the speculation is amusing. Much hysteria! Pretty neat. Sounds like a lot of thought went into that. @Dr_Lugae You got a point there, but Nintento needs to be sure they have a very strong launch and a very solid product on their hands, not a big silver shiny DS like brick that is replaced with a sleeker model or a strange and slightly flimsy regular 3DS. Nintendo shot itself in the foot too many times and we can see it limpin for some time now. if they released a couple of special launch exclusive designs and fill it with solid hardware and have a good launch line-up I will consider but with the 3DS I felt a bit bummed out after the 1st year or so. I hope Nintendo officially announces them soon. My hype is up there! @JamesCoote Barely plausible and given the hits Nintendo has taken due to the Wii U failure and given the fact that, as I stated, they just had a new iteration, anything not NX related would be marketing suicide. Even I wouldn't buy yet another standalone handheld, and I have multiple 3DSs and DSs for my family. I would literally be done with Nintendo for the foreseeable future. The only way to describe such a move on Nintendo's part would be arrogant and oblivious. @deKay Yes... but they didn't then release yet another iteration a couple of years later (DSiXL is just size option). The DSi is the DS family's 'NEW 3DS. The NEW 3DS is essentially a whole new system. To launch a whole new platform that will undoubtedly cost $200 or more is a punch to the throat for those who just purchased a NEW 3DS. And with this as a rumor, if you have bought a 3DS why would you now? @Tsusasi "but they didn't then release yet another iteration a couple of years later" - yes they did - the 3DS. @deKay No... they didn't. The 3DS was a completely different system/family of systems, not an iteration. But going with that, look what happened. The 3DS nearly failed. Bad launch, few games to support the system, no killer apps. They had to slash the price and create an entire program of free stuff for those that they screwed. So yeah... and that was exactly my point; if they launch a whole new family of handhelds so soon that aren't part of the NX integration rumor or are an extension of the 3DS brand... again... they will screw themselves hard. If they are that arrogant and out of touch, they deserve what's coming to them. But I just don't see them being that stupid. @Tsusasi I'm not sure what point you're making now. The 3DS was a new handheld, yes. But the 3DS/New 3DS/MH situation is exactly the DS/DSi/3DS situation. The DSi was a hardware-improved DS with new features and virtually no games that use those features or better hardware. Two years after it came out, the 3DS was released. The New 3DS is a hardware-improved 3DS with new features and virtually no games that use those features or better hardware. Two years after it came out, the MH is likely to be released (if indeed it is a thing and exists). About time. 3DS isn't my thing. I want a stronger handheld like PSvita and deliver me some games that are worth to make me buy the handheld! Im going out today for my MH tattoo! It's a 3DS, but it's made of cardboard, man. Sweet! Can't wait to see what Nintendo's cookin up next. Personally, I'd rather see them make a full blown console to take on the PS5, but I'm not sure they could do that without investing so much money on R&D that they'd be gambling the company on its success. On the other hand (and I know this will anger a lot of people), I don't think the Switch is a particularly good hand held. It's a little too big and the successor to the 3DS should have a big improvement in battery life, not even less.